Face it, you aren’t a lumberjack or lumber-jill. That doesn’t mean you don’t need a chainsaw. In fact, having the best chainsaw for a homeowner can make a lot of jobs around your property and home much easier. But you don’t need the biggest, baddest chainsaw on the market. Once you’ve made peace with that, you can start your search for the right chainsaw for you. 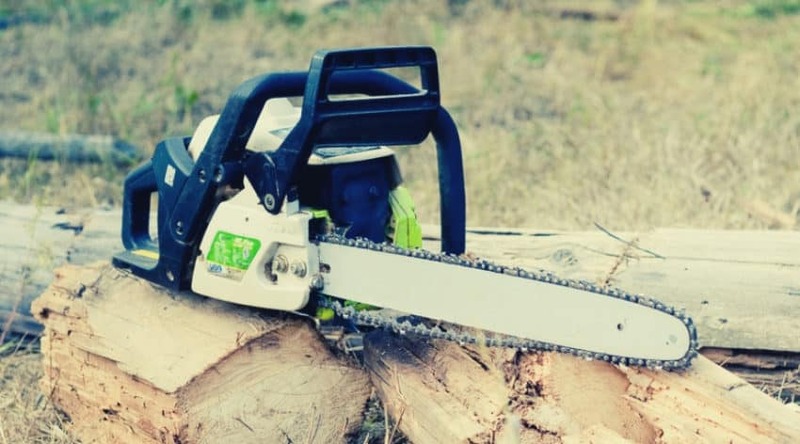 If you have a larger piece of property with mature trees or big jobs that would require more power, then you might want to opt for a gas chainsaw. Otherwise, an electric or battery chainsaw should meet your needs just fine. Certain features are must-haves for any homeowner, while other features may be extraneous. Let’s go over the necessary bits to help you make the right decision for your home. Why Would You, a Domestic Homeowner, Need a Chainsaw? A chainsaw can be a helpful tool in all sorts of situations. Downed trees or limbs threatening to grow over your roof need to be dealt with, and you might not want to call a professional for a small job like that. If you live in an area that sees all four seasons, you might rely on a wood-burning stove for heat during the fall and winter. In that case, you might have a half a cord or more of wood that needs splitting for firewood. That’s another great argument in favor of a chainsaw. Home-based projects that involve wood are going to need a chainsaw. Sure, you could use an ax or manual saw, but a chainsaw is going to make the work go much faster and you’ll see smoother cuts. Whether you’re dealing with tree stumps or planks of wood, a chainsaw is a tool that you kind of can’t live without as a homeowner. There are some features that you don’t really need, but some are essential, especially for a homeowner who just needs a light-duty chainsaw. Some of these features help ensure your safety. It’s important to remember, though, that a chainsaw is not a toy. You need to use a chainsaw with a bit of reverence, but not fear. It isn’t a snake that’s going to jump out and bite you. These bars and chains that feature low kickback do exactly what they say they do. They’re going to reduce the amount of kickback you have to deal with when you’re using your chainsaw. Kickback can happen when you’re sawing into a wood and you hit a particularly tight spot. The nose of your chainsaw may kick back toward the operator – it’s a dangerous situation, especially if you aren’t expecting it. Bars and chains with low kickback will mitigate this danger a little. 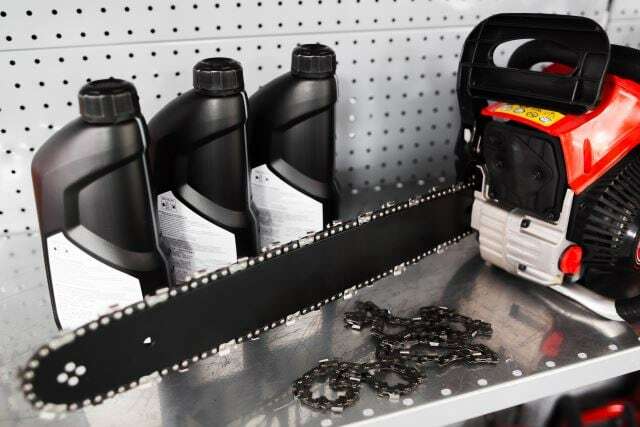 It also might mean that you lose a little bit of cutting power at the nose of the chainsaw, but for a homeowner’s purposes, that should be OK.
Standard chainsaws typically need you to apply oil to the bar and chain regularly to keep everything lubricated. It’ll prevent damage to your chainsaw and keep everything running smoothly. When you have an automatic oiler, you won’t have to pay much attention, as the chainsaw will be automatically oiled up. If you have an auto-oiler, then you likely have an oil reservoir on your chainsaw. Some chainsaws include a viewing window, which lets you see how much oil is left. You won’t have to unscrew the top and check periodically to see if it’s time to add oil. So, this is a bit of a timesaver. All chainsaws need a little tightening of their chains now and then. Many of the standard chainsaws require you to buy a tightening tool, but the light-duty chainsaws meant for homeowners usually include a tensioning knob. Just turn it occasionally to tighten the chain to the bar to ensure the chain doesn’t pop off. Chainsaws sometimes need to be stopped immediately, and that’s the purpose of a chain brake. Just engage the chain brake to put a stop to the chain’s movement. It’s a helpful safety feature that can be used under emergency situations. 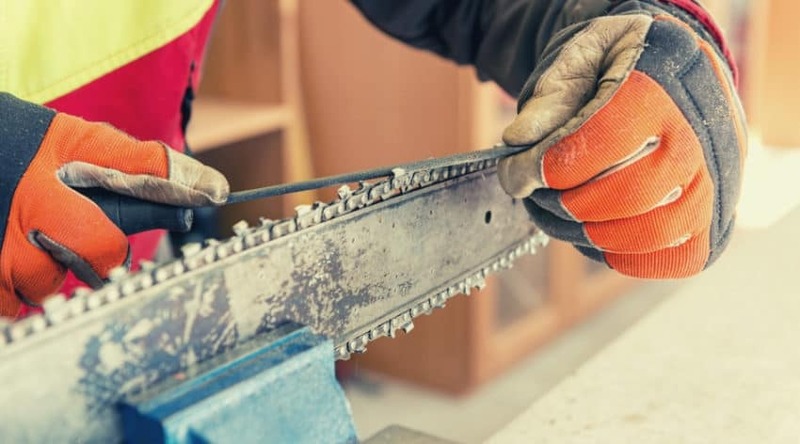 You might notice that your hands go numb or shake after a long go with a chainsaw. Those that have anti-vibration features or dampening can help alleviate those drawbacks by mitigating a little of the vibration you feel. This can be a good safety feature in the long run, too, as excessive vibration can lead to HAVS, or hand-arm vibration syndrome. The good news about buying a new chainsaw is that you won’t have to invest a ton of money on your new tool, and now you can slice through limbs, bushes, and wood, like a hot knife through butter. What you might not realize is that you need more than just the chainsaw. Here are the other bits and pieces you’ll need to get once you buy a chainsaw. 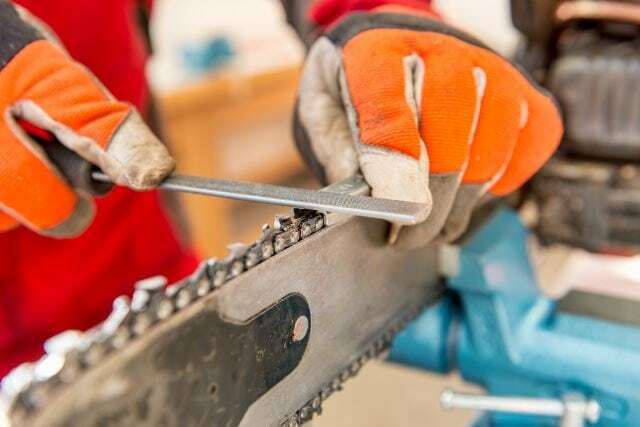 It isn’t necessary for you to don a full suit of armor before heading outside or to the garage with your chainsaw, but it’s a good idea to buy a few items to help keep you safe. Coveralls, chaps, gloves, and maybe a chainsaw helmet might be a good place to start. Regardless of how big or small your cutting projects are, you’ll need a sharpening tool to keep the teeth of your chain sharp. Chances are the teeth will dull before you need to replace the chain. So, get the right size tool to sharpen the teeth and you’ll get more wear out of the chain. Sooner or later, your bar and chain will need to be replaced. Rather than tempt fate, get a spare bar and chain, so your project doesn’t come to a complete halt when the original fails. All chainsaws need to be oiled to continue working properly. Get some oil that’s thick enough to keep things lubricated well, but not too thick that it won’t run through an auto-oiler. The BLACK+DECKER LCS1020 has almost every feature you could want in a chainsaw for your home. This light-duty battery-powered chainsaw has more bite than you might expect. The 10-inch chain and bar may be smaller than standard, but it cuts smoothly and has the power to cut through most softwoods and some hardwoods. You could easily use this to trim up trees, thin bushes, or chop up firewood. 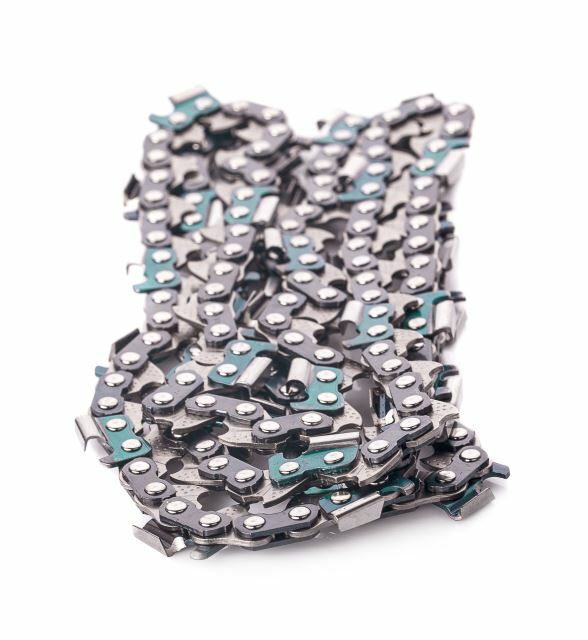 The low kickback chain and bar adds to its safety and makes it appropriate for home use. The tool-free tension adjusting knob makes it simple to tighten your chain when necessary. And on top of it being so easy to use, it’s also quiet. The noise factor could be a big deal to you, especially if you live in a neighborhood where your fellow homeowners wouldn’t appreciate loud buzzing from next door. That’s the beauty of a battery-powered chainsaw. Perhaps the only downsides to this chainsaw are that the battery doesn’t hold the longest charge, and the automatic oiler doesn’t always work as intended. 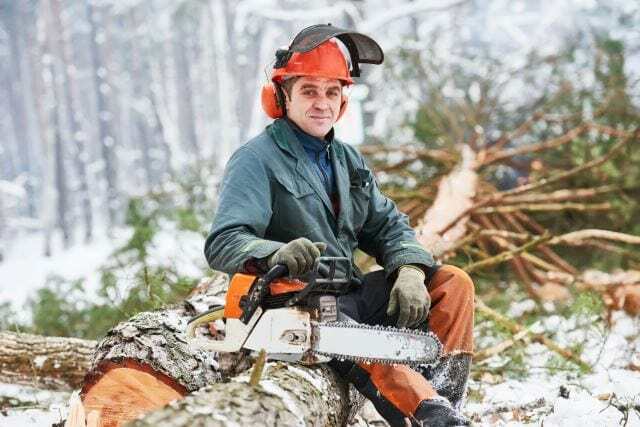 If you like brands such as Stihl, and you need a chainsaw for the home that’s easy to use and quiet to operate, this could be the right one for you. As long as you don’t mind being tied down by an electric cord, the WORX 18-inch chainsaw could be one of the most powerful homeowner chainsaws you ever own. This workhorse can chew its way through whole tree trunks up to 6 feet in diameter. It’s still a fairly safe light-duty chainsaw with the auto-tensioning knob that you’d expect on a chainsaw like this. It also includes an automatic oiler, so you won’t have to apply oil to the chain and bar manually. Other safety features include a chain brake, which will stop the chain immediately, if needed, and a low kickback bar and chain, to prevent too much jarring when you hit pinches. This affordable chainsaw comes with a three-year warranty, which is decent. It might be needed if you run into defects that were oft-reported, such as chains being thrown and the auto-tensioner not working. If you’re looking for a chainsaw that’s appropriate for home use, but also packs a powerful punch and is still affordable, this might be your best bet. You don’t necessarily need a gas- or electric-powered chainsaw to get a job done, and the DEWALT DCCS620B aims to prove that. This is a bare kit, so you won’t get a charger or battery with it, but you can track those down yourself. In fact, if you go with this chainsaw, be sure to order a second battery, so you can keep working even when the first battery runs out of juice. The tool-free tensioning knob makes it easy for you to ensure your chain is at the proper tightness on the bar, and it comes with a chain brake for those aw-crap moments. 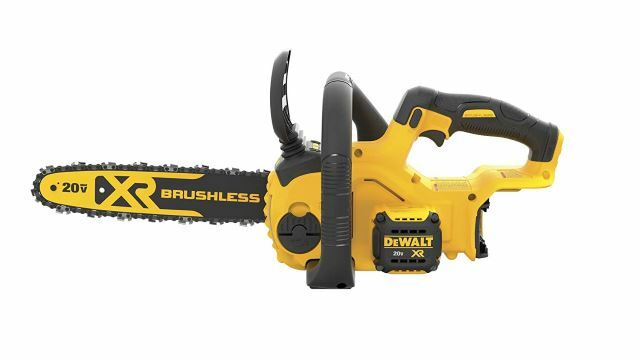 This DEWALT cordless chainsaw is lightweight, so you can easily use this around your home without having to do a weight-lifting routine first. It isn’t exactly meant for felling trees, so keep it to light jobs around the house. You might notice leaks of oil with this chainsaw, but that’s often the case with any chainsaw. Also, the oil cap is screwed on a bit too tight, so it might break when you try to loosen it. It’s a good thing it comes with a three-year warranty. If you want a light-duty chainsaw to use for small jobs around your property, this one may be just right for you. 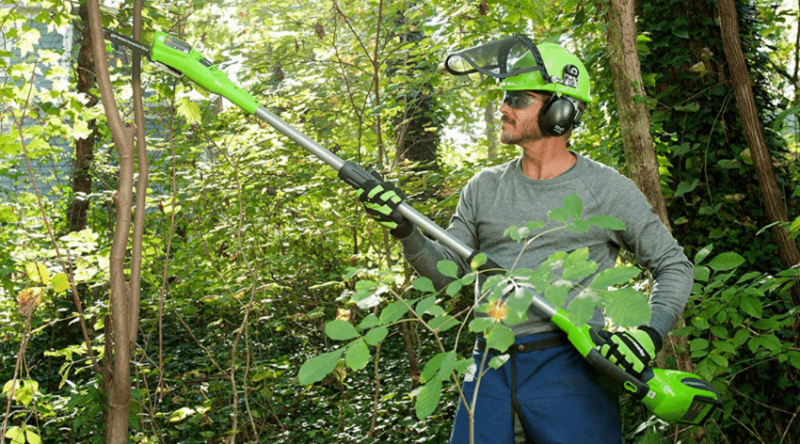 One of the benefits of using an electric chainsaw like the GreenWorks 20222 is that you don’t have to worry about charging batteries or keeping fuel and oil on hand to power it. You simply plug this 14-inch chainsaw into an outlet and saw away. Of course, if you need to take this tool much farther than the confines of your garage, you’re going to need a heavy-duty outdoor extension cord. It’s easy to start, easy to use, and low maintenance. There’s a tensioning knob, so you don’t need a tool to keep your chain tight. And the auto-oiler keeps everything lubricated to keep it all in working order. 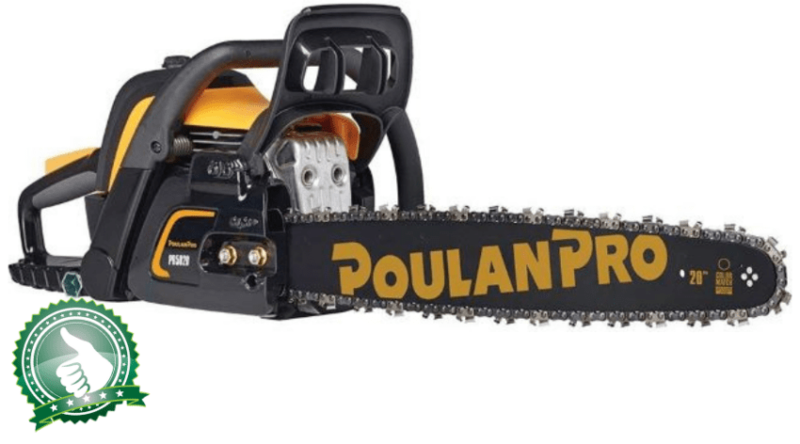 This isn’t the chainsaw to buy for lumberjacks who are bucking tree trunks, but if you have some brush and limbs to conquer, this could be just the tool for you. It’s one of the safest and easiest to use chainsaws for homeowners. Press the trigger and you’re off and sawing, and then let go and the chain stops. Some people said the chain slips off at times, which can be frustrating. And oil leaks seem to be a common issue. Still, if these are defects, the four-year warranty should protect your purchase. If you need a small chainsaw for small jobs around the house, this electric chainsaw could work well for you. Not all homeowners are created the same, and that’s why there are difference chainsaws for different jobs. 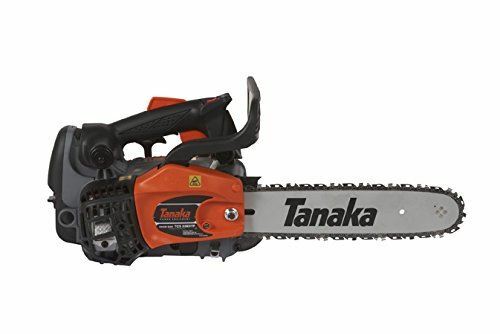 The Tanaka TCS33EDTP is a top-handled chainsaw, which makes it easier for you to tackle tree limbs from the top of a ladder with little issue. Prune, trim, and buck small trees with no problem with this gas-powered chainsaw. 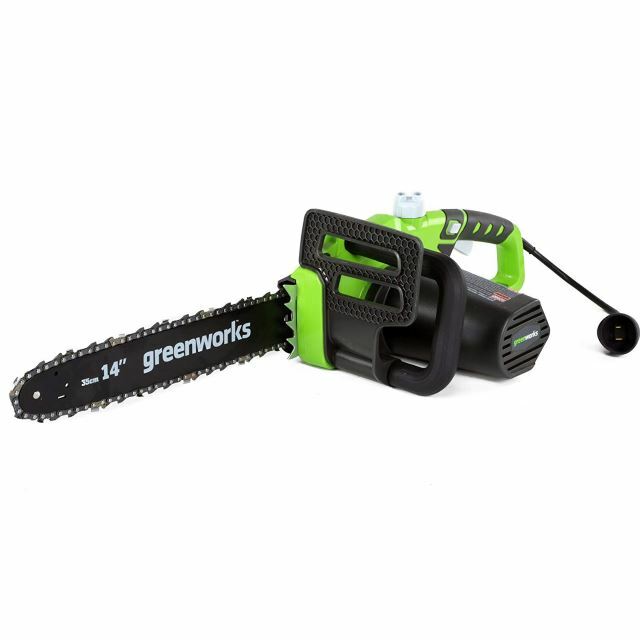 Of course, because it uses gas, it’s a bit louder than other chainsaws meant for homeowners. And it requires gas and oil to power it, so it’s a bit more maintenance. If you need the extra power, though, it could be worth it to you. You still get an automatic oil system, like other chainsaws. Plus, this chainsaw starts surprisingly easily for a gas-powered unit. Vibration is lessened by its anti-vibration features, and it’s a lightweight tool, so you can use this almost anywhere. The small size makes it easy for anyone to wield, too. Be careful with thicker logs, as it could bog down a bit. The plastic parts play a role in the lower cost of this tool, but it may seem less durable. The good news is that this chainsaw comes with one of the longest warranties: seven years. 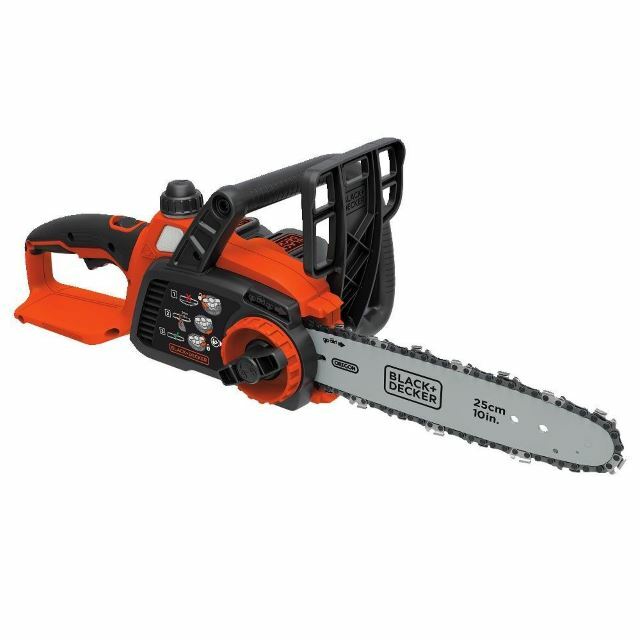 If you’re looking for a powerful chainsaw that’s powered by gas, but still lightweight and small, this could be a good option for you. 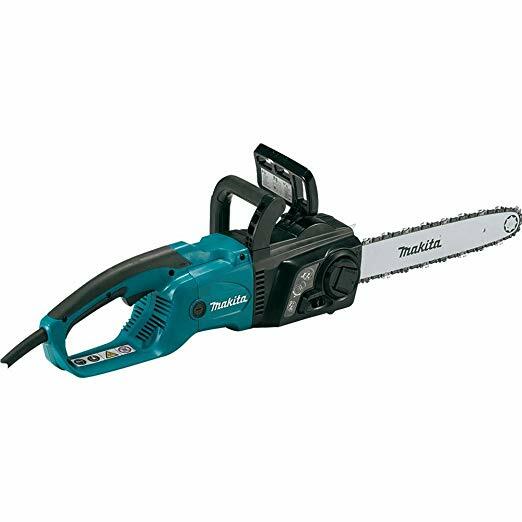 One of the best things about the Makita UC3551A electric chainsaw is that it’s durable. As long as you take care of the machine, it’ll likely outlast some of your other power tools. 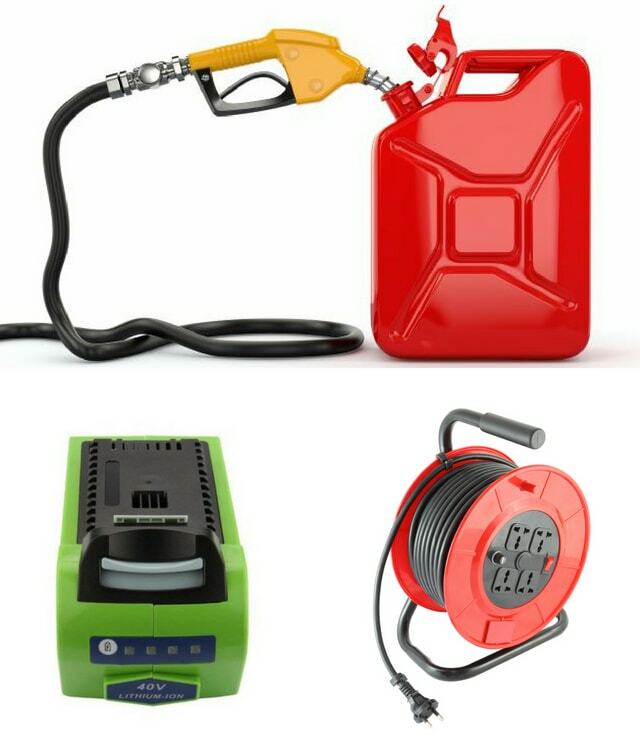 It includes an automatic oiler, like most chainsaws for homeowners, but you do need to keep it filled with oil. It’s also a good idea to clean it regularly. It’s a small chainsaw, but it’s powerful and it can chew through some big logs, as long as you’re patient with it. The tensioning knob is similar to others, but it could be a bit faulty. You might prefer to remove the cover and tighten the chain by hand, as other owners have done. For the most part, this feature works just fine. The rubberized grip is not only more comfortable to hold, but it can also potentially lessen the effects of vibration. You’ll have to take good care of this tool, as it only has a one-year warranty, which is much shorter than the industry standard. If you’re looking for a chainsaw that has power but is still easy to use and durable, this one might be right for you. Finding the right chainsaw for you to use at home comes down to price, features, and power source. 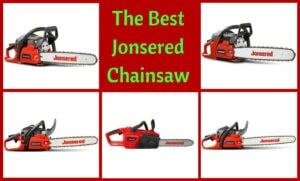 If you prefer a gas chainsaw, then the answer is easy, as there’s one featured on this list. While all the others, whether electric- or battery-powered, are also easy to use and affordable, there’s one that is likely to please any homeowner. The WORX 18-Inch 15.0 Amp Electric Chainsaw with Auto-Tension, Chain Brake, and Automatic Oiling – WG304.1 offers the most bang for your buck, and as a homeowner, you could use a break when it comes to spending extra money. 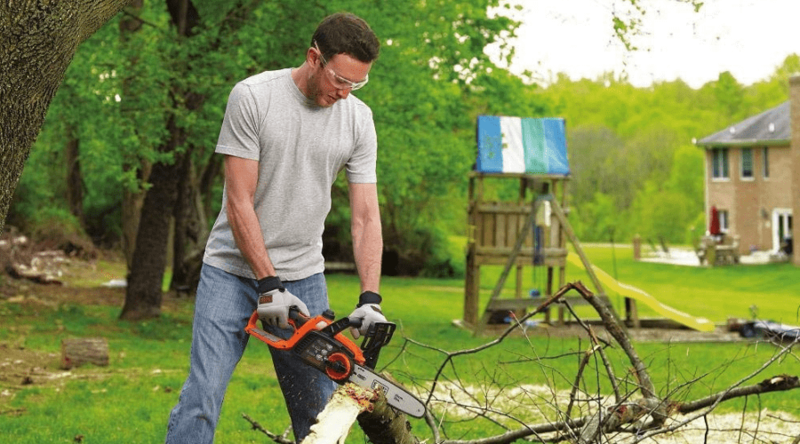 This chainsaw is powerful but lightweight and easy to use. It comes with almost every feature you could imagine that should be on a light-duty chainsaw. And being electric-powered, you don’t have to store fuel or oil, nor do you have to wait on batteries to charge.